Check out the latest slot sites to launch this month. We’ve compiled a list of the newest slots to hit the market, we’ve rated and reviewed each one and listed them below for you to consider. You can be sure that you’ll be among the first to play at the latest and the greatest. Even if you’re happy with where you are playing at, there are still good reasons why you want to venture of your favourite slot site every now and then, and we’ll tell you all about it here. T&Cs:New players only. Wagering occurs from real balance first. 50x wagering the bonus, contribution may vary per game. Available on selected games only. The wagering requirement is calculated on bonus bets only. Bonus is valid for 30 Days from issue. Max conversion: 5 times the bonus amount.Full Terms apply. Clearly, if you’re bored with the same old same old, then it’s time to find a new place to play. For those who have a favourite site where they feel comfy, there are still some advantages to trying a new slot once in a while. This is perhaps the most common reason why seasoned players check out other sites. Just about every slot site out there will have a welcome offer for new players, and welcome offers tend to be the most generous of all promotions. So it’s a good move when you’re looking for more play credits on the house. Compared to the bigger and older sites, new slot sites tend to have better offers that offer more spins on more games. It’s cool. Sometimes there are just no better words. New slots sites start off building themselves with the latest technology. For example, a few years ago, while older sites were desperately upgrading for mobile, new slot sites began their designs with mobile in mind. Then, because they are the new kids on the block, new slot sites dare to take risks that older ones might be afraid to take. This all adds up to a way cooler gaming experience and you’re more likely to first come across innovative features in these newbies. Some of the newer sites really take games seriously. They design their entire site around one big game, sort of like an adventure island. You’ll be on a mission, split into levels with different tasks to complete. Complete a task and you’ll unlock new games and more goodies. Rulers of Olympus is the latest in the popular Playtech ‘Age of the Gods’ series. It comes with 2 free spins features, a shifting wilds feature, a Thunderbolt bonus feature as well as the chance to win 4 progressive jackpots. Mystery Reels is a traditional looking game from the experts at Red Tiger Gaming, with cherries, bells, plums, melons and sevens among its winning symbols. However, the symbols are the only old-fashioned thing about this game. As you would expect from the experts at Red Tiger this game has lots of great features. 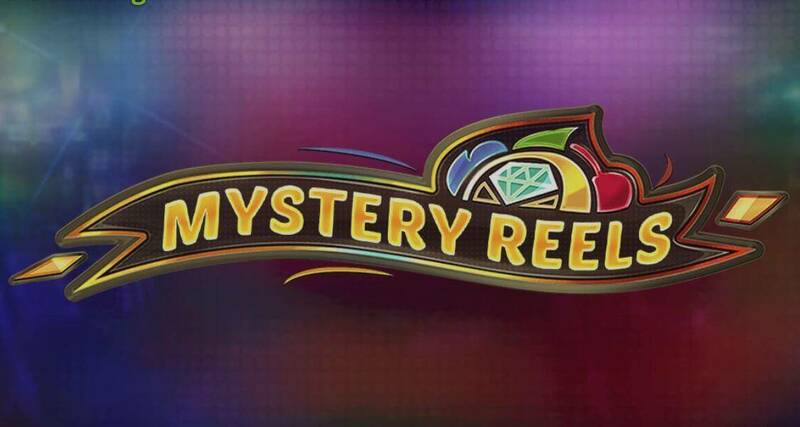 Mystery Reels is a five-reel, five payline slot game. Look out for the Joker – he’s Wild! The golden casino chips make up a scatter feature. Flip casino chips to match 3 symbols to unlock one of seven prizes, including win multipliers and free spins. This is a great looking game with high-def audio and a 94.2 RTP. Give it a try at Paddy Power. The sites below offer some of your favourite games like Double Bubble, Fluffy Favourites, Rainbow Riches and Starburst. Each site partners with the best networks providing the best software from NetEnt, Icon, Microgaming and Quickfire among many others. Join Fortune Cat today and take advantage of a generous welcome offer across your first three deposits. Fortune Cat boasts well over 500 different slot and casino games, with new titles released every Thursday including this month’s Agent Jane Blonde Returns, Temple of Nudges and Mystery Reels Megaways. Win up to 500 Starburst spins on the Mega Reel then take full advantage of the 650+ amazing slots and games to play. You will also find unique challenges with trophies to be won within the fun loyalty scheme. If you are looking for the hottest new casino in town, then you are in the right place. Hot Streak opened in March 2019 and is powered by the state of the art Nektan platform. What that means for you is the 24 hour availability of hundreds of top slots and casino games in a tried and tested environment. You will enjoy an amazing experience on mobile or laptop. The bonus spins are all on the popular Starburst slot game, but you will find well over 500 slots and casino games to choose from. If fast-paced slots play is what you are looking for, then Hyper Slots is the place for you. This brand new slots site on the Jumpman Gaming platform has all the best games around, with new titles added on a regular basis. Sign up, make a first deposit of just £10 and spin the Mega Reel to discover your bonus, which could be a few bonus slot spins, Amazon vouchers or up to 500 bonus slot spins on top slots like Starburst. Hitting the market late in 2018 Temple Slots made a big impression. This is a well-designed site with an exciting theme. Everything here is clearly defined and well laid out, so it doesn’t matter if you are brand new to online gaming or a regular player, you will find yourself right at home and exploring like a pro in no time. 100% to £50 and 50 spins on Gonzo’s Quest on 1st deposit. 50% to £100 and 25 spins on Finn and Swirly Spin on 2nd deposit. £75 spins on Starburst or Aloha! on 3rd deposit (£20 dep required). Operated by Betable, you know you are in experienced hands at Temple Slots and should you need any help the friendly customer service team are never far away. This brand new casino site from Progress Play has smooth good looks and delivers on its visual promise too. With hundreds of games to choose from on this popular platform, it’s an easy decision to make that first deposit to secure your 100% welcome bonus. It won’t be quite so easy to choose a game to play from the huge selection, but good luck trying! The designs of the newest slot sites are certainly getting better and Secret Pyramids certainly looks good on the outside. The question is does it deliver on that exterior promise? The answer is, of course, a resounding yes! Sitting on the Jumpman Gaming platform, Secret Pyramids starts you off with a spin of the Mega Reel on your first deposit, from which you could win up to 500 slot spins. Once you start to explore the site you will discover hundreds of the best slot games available today. Still not convinced? Here are even more reasons why experienced players will like to give new slot sites a shot. Look, these new sites need to stand out from the crowd, so they’ll put a lot of extra effort to provide a better experience. This usually means you’ll get more personal service as the site tries to learn what their players really want. It all translates to not just to better promos, but also better customer service. How do I Choose the Best New Slot Site? Google and other search engines are obviously places to begin. But the problem many people find is that it’s hard to weed out the gems from the rubbish because there is simply so much stuff on the internet. Thus, may we humbly recommend consulting our reviews for new slot sites. Having been through some of the frustrations ourselves, we look at these sites systematically and evaluate them according to strict criteria before presenting the results to you. From our list, you can safely choose one that fits your taste. If it doesn’t turn out to be quite your cup of tea, go back to the list again and you will probably find another one that will better tickle your fancy.